The history of the world has been told in objects and the past decade has seen a growing number of books. 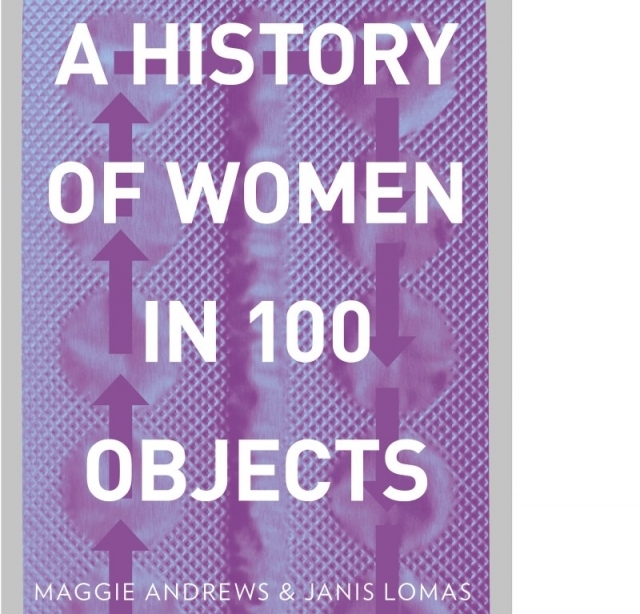 But what about the objects that tell the history of women? What are the items that symbolise the journey of women from second-class citizens with no legal rights, no vote and no official status to the powerful people they are today? And what are the objects that still oppress women? From the corset to the contraceptive pill, the bones of the first woman to Rosa Parks's mugshot, the iconic Mary Quant cape, the Shoreditch Sisters’ quilt to protest FGM to the white veil movement in Iran, A History of Women in 100 Objects documents the developing role of women in society through the lens of the inanimate objects that touched women's lives, were created by women or that at some time – perhaps even still – repressed them. Woven by two leading historians, this complex, fascinating and vital tale of women and womanhood is told with a lightness of touch and depth of experience that will appeal to all those interested in women's history. The book is divided into eight sections that cover issues such as the body, motherhood and sexuality, wives and homemakers, women’s work and employment and women’s place in the public world. Each of the different objects is illustrated and accompanied by an essay of about three pages that provides context and significance. Each chapter also has a question to stimulate further discussion. This is a really good and, for teachers, useful book and each one of the objects could form the basis for a lesson. I loved it.